 Support CFI Michigan as a volunteer! Now is a great time to get involved. Get started by completing your Volunteer Profile. Once your profile is completed you will be contacted by our Volunteer Coordinator to set up your training and discuss current and upcoming volunteer opportunities. You’ll also be added to our CFI MI Volunteer Email list, which is used to notify volunteers of new and upcoming opportunities. We rely on volunteers to make much of our programming possible. Based on your interest you can be come an ongoing volunteer, or you can be an “on call” volunteer and accept one-time volunteer opportunities announced through our volunteer email list. Complete your Volunteer Profile to be added to the email list. Those who use Facebook you will also be invited to join our CFI MI Volunteers Group, which is another way to find out about volunteer opportunities. If you’ve completed your volunteer profile, you can click on the link above and request to be added to the Facebook group. Questions? Contact our Volunteer Coordinator, Cindy Krieg, at mivolunteers@centerforinquiry.net or call 616-698-2342. Our volunteer opportunities change periodically, but here are some of the areas that we regularly need volunteers. Contact the Volunteer Coordinator for current opportunities. Join our Advocacy Response Team: to receive periodic emails with Urgent Advocacy Actions you can take on pending legislation and advocacy issues related to CFI’s Mission at the state and federal levels. You’ll also be notified of advocacy training opportunities, and other opportunities to help track legislation and assist with advocacy projects. Assist CFI Members in need as part of our Food for Comfort Network (A project of our Secular Service Program).